At Fantasia we’re always looking to reduce the cost of running a ceiling fans. 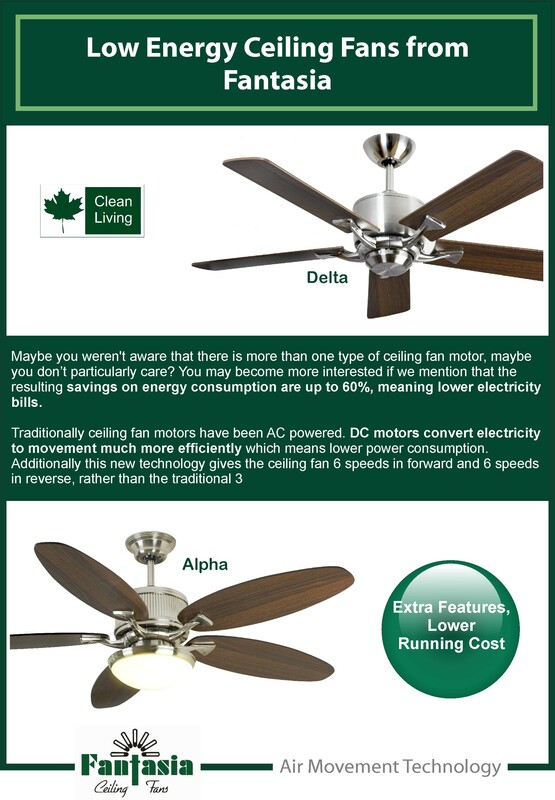 With this is mind we launched a range of ceiling fans that use DC motors rather than the traditional AC. This allows for greater flexibility in operation (6 speeds as opposed to the traditional 3, aswell as a pulse function) along with the energy saving. Have a look at the graph for details on the energy savings. Also this year we are launching a range of LED light bulbs. This will bring even bigger savings, An AC ceiling fan with 2 x 50w G9 light bulbs would currently consume a total of 195w on high speed, this would be reduced to just 39w for a #ceilingfan with a DC motor and LED light bulbs included. Ceiling Fans & Aircon – A match made in heaven? New for 2012. Flush mount version of the Delta Low Energy in White. Plenty more new releases for 2012 planned. We’ll keep you posted. Sign up to the blog to stay in the loop. 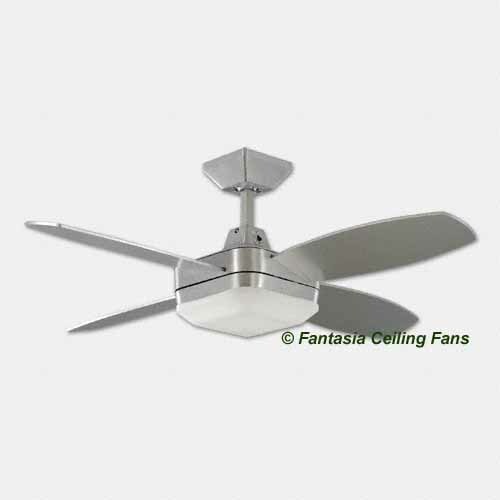 Does the Fantasia Low Energy range of ceiling fans have any other benefits apart from saving power? 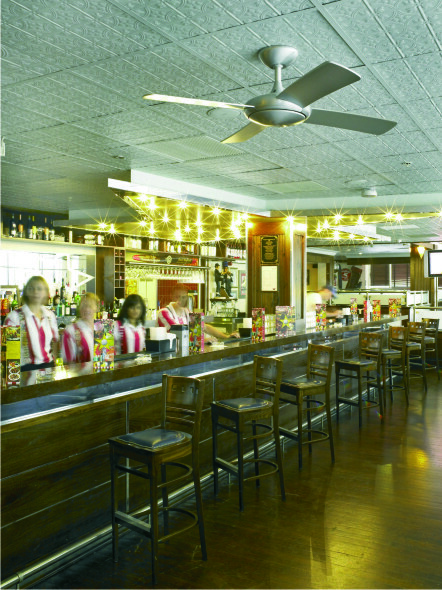 The Fantasia range of low energy ceiling fans (Alpha, Delta, Omega) have a number of benefits. As mentioned, these ceiling fans use less power than traditional fans. 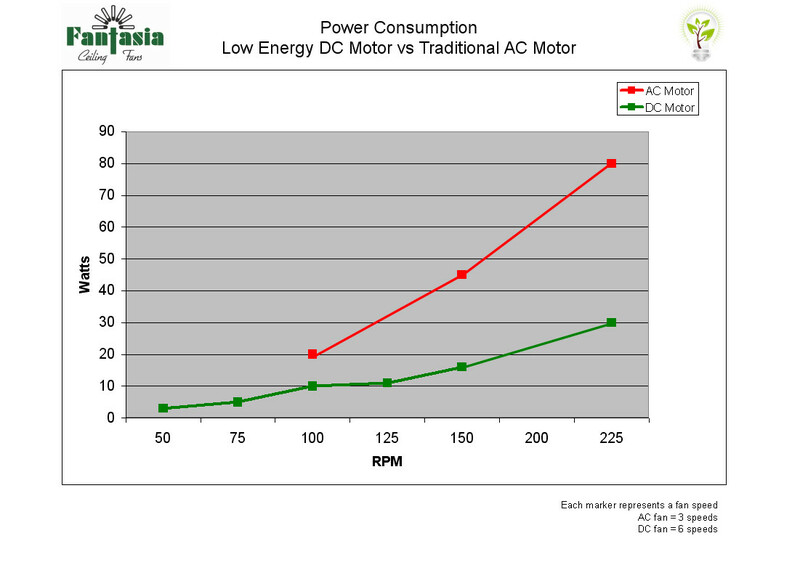 This is because they have DC (rather than AC) motors which use approximately 60% less power. However, installing a DC motor in a ceiling fan brings added benefit in terms of control. 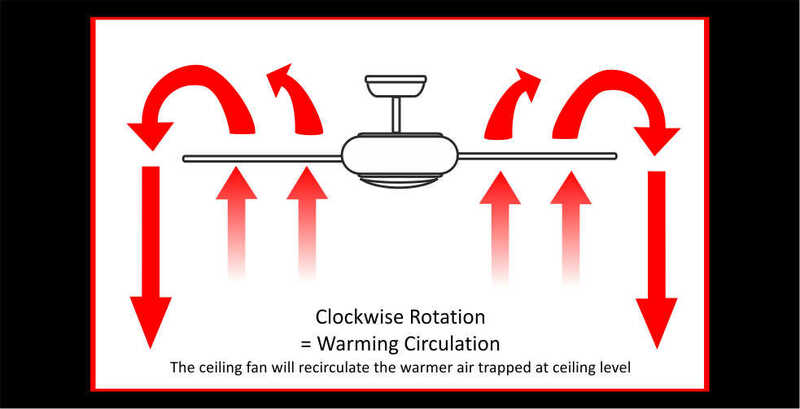 A standard Fantasia ceiling fan has 3 forward and 3 reverse speeds, the low energy range of ceiling fans operates with 6 speeds in forward and 6 in reverse. This means much more control over the level of breeze you require. Also the reverse function of the fan is on the remote control handset rather than on the ceiling fan motor itself. Natural Breeze – Added to the speed features is a new function called ‘natural breeze’. This setting on the remote control make the fan pulse, speeding up & then slowing down to create a natural breeze effect. As you can see, the low energy range of ceiling fans from Fantasia does a lot more than conserve power. 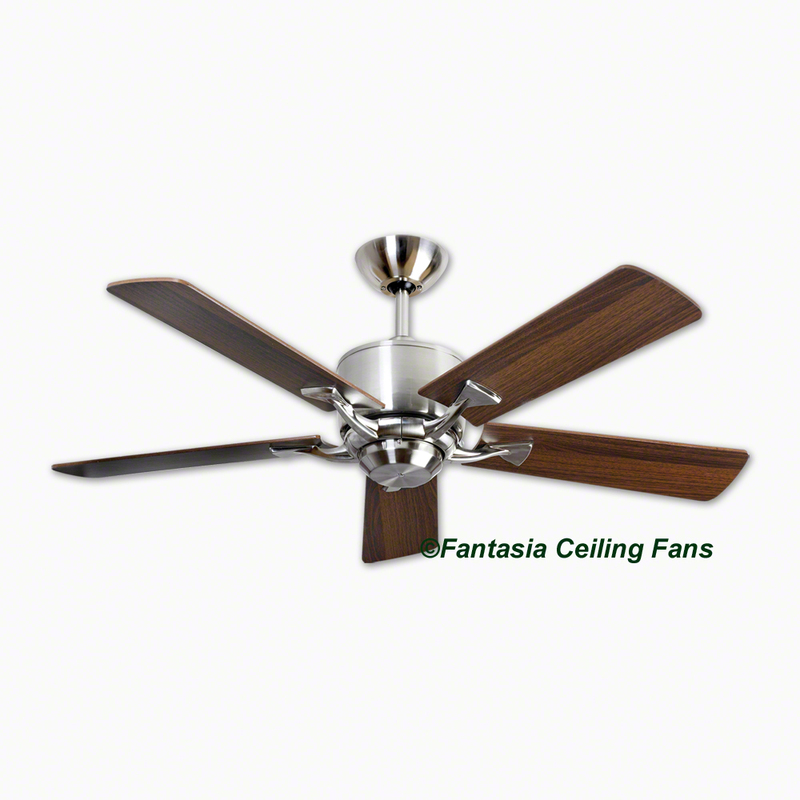 Above is the new Zeta Fan from Fantasia Ceiling Fans. It’s the latest addition to our unique Elite range of ceiling fans. Combining the latest technology with cutting edge design the Elite range delivers elegant air movement without compromise. The Zeta uses a low energy DC motor so it consumes 60% less energy than a traditional ceiling fan motor without compromising on performance. It is also fully remote-controlled and has a 60w light. The moulded blades are unique and add to performance. At 52″/1320mm in span and available in three different finishes the Zeta is ideal for the larger room. Track down one of our Elite stockists now and pre-order for July delivery. Everything about Ceiling Fans is usually round. They spin round in a circle and so it follows that the design should be circular….doesn’t it? Well no actually is doesn’t. Fantasia are always looking push the boundaries of design and this has never been more obvious than with the release of the Quadrant Ceiling Fan. Every thing about this fan is square, including the drop rod if you look closely. The fan even uses magnets to make sure it remains perfectly square when at rest. The fan motor housing is made from Aluminium for that modern look. As if these features aren’t exceptional enough, the quadrant also offers a dimmable flourescent light, so its low energy too.